Sipping at Bar Volo tonight the new Mountain Lager from Sidelaunch Brewery in Collingwood, ON (a real winner, soft and rich), I learned that Cask Days, the Morana family’s long-established and essential, annual Toronto cask beer festival, has partnered with Evergreen Brick Works to present cask ales, and some cider, at the Sunday farmers’ market. The feature will run from July 12-September 13 of this year, each Sunday from 11:00 a.m.-3:00 p.m.
All beers and ciders will be served by gravity as at the wonderful Cask Days festivals. I can’t attend the opener this Sunday but will be there the Sunday following. It’s a great notion, fitting in perfectly to the ethos of the farmers market. I began studying beer as a hobby back in the 70’s. (Yes, in one of H.L. Mencken’s memorable formulations, I even “got some down”, and still do). By studying, I mean I bought a lot of magazine and books, both consumer books describing tastes and styles as well as tomes on how to brew beer in a commercial setting. I’ve never brewed at home, while having great respect for those who do. I did a weekend, hands-on brewing seminar in the 1980’s with William (Bill) Newman in Albany, NY. Bill founded one of the early craft breweries. This enhanced the book knowledge I was acquiring, as did countless tours of production breweries. I’ve also travelled quite a bit with my wife Libby, mostly in Canada, the U.S. (most regions), England (extensively), France, Belgium, and once in Germany, Austria, and Czech Republic. On my travels, I had the chance to try a lot of beers and develop a good understanding of beer styles and the related culture, extending to the cuisines which accompany beer in its heartlands. For a time I concentrated on cooking dishes using beer as an ingredient, dishes scattered in books from North America, the U.K., France and Belgium, and one day may write a book collecting these recipes. Chicken with beer sauce spiked with genever gin, anyone? A key point in my beer education was meeting the late beer authority Michael Jackson on many occasions. Indeed Libby and I travelled with him for a week once, in the early 1990’s, to explore the brews and beer culture of the Nord-Pas-de-Calais region in France. I am privileged to say he mentioned me a couple of times in his writing. He was a key influence on me and I never would have developed the kind of interest I did in beer but for him. One of the things I learned from him is that beer doesn’t stand alone, it exists in a social, economic and cultural context and understanding beer well means exploring many facets of this larger world. Of course, I followed craft brewing closely from its earliest days in California. 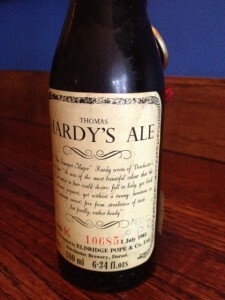 In addition, I have always had a deep interest in beer history. I have contributed a lot of comments over the years on blogs of people I admire greatly who focus on that area, but also on the blogs of many other beer, and food, writers. Many of them, with others, encouraged me to set up my own blog, and finally I have done this. I intend to explore every facet of beer as I have come to know it but also stretch beyond that occasionally into other drinks, and food. For some years I learned about bourbon and Canadian whiskey, and travelled extensively to Kentucky where the bourbon industry is centered. I was named Bourbonian of the Year a few years ago by www.straightbourbon.com, the leading consumer bourbon site in the world. I hope you enjoy my particular take on what beer and “et seq.” are all about.